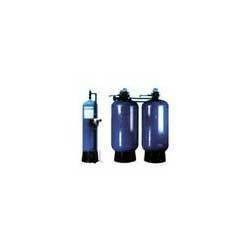 We are engaged in offering Water Filteration Systems that are extensively used for removal of total suspended solids. These systems are used for treatment of water in various industries where water needs to be recycled in repetitive manner. With the assistance of our experts, we design these systems conforming to the international standards. These can also be customized as per the specifications provided by our clients. SAF Engineers a well structured organization to serve the Industries & society through their services of Water Auditing, Water Handling & Water Processing Issues under Consultancy & Project Management. Our state of art computerized design & engineering facilities brighten with the experts carrying in depth understanding of topics,make us enable to provide technically capable & most economic solutions to our Industries & Society with an essence of technological progress continuously taking place in the Globe. SAF provides a wide range of project and engineering/consultancy services to the industry & society both on turn key and customized basis with a view to cut down capital investment and operation costs. To overcome Space constraints,the company offers packaged-customized Water & waste water treatment units. The saving in cost over conventional system can be as much as 20 to 40%.